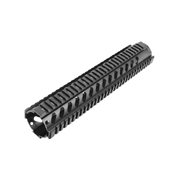 The free float quad handguard rail features a one piece design and will mount over low profile gas blocks. 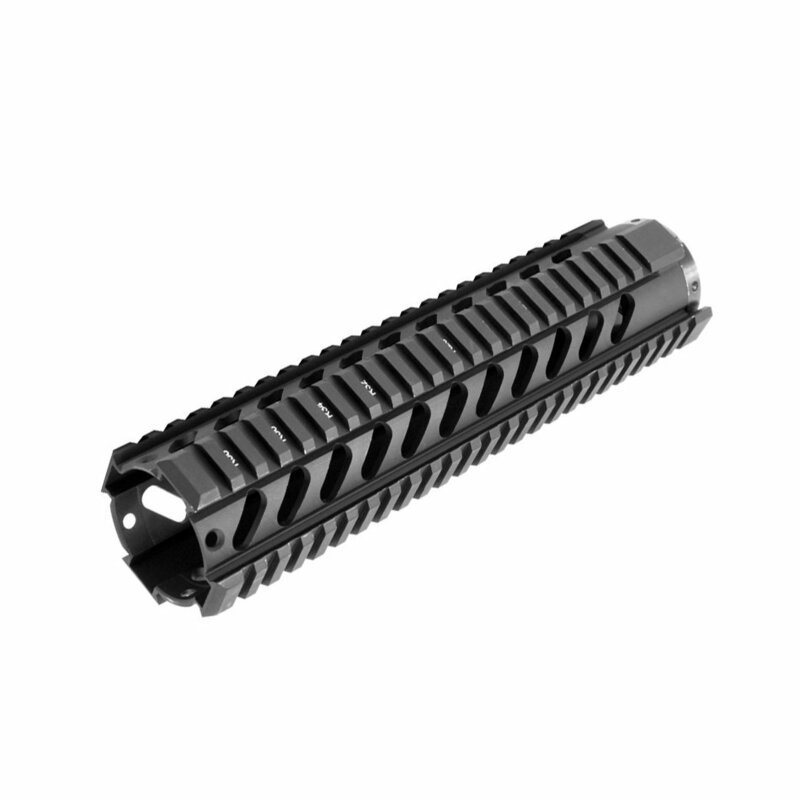 Made of black anodized aircraft grade aluminum and compatible with most direct impingement gas systems. The T-marked rails allow accessories to be removed and replaced with ease and continuous top rail provides a monolithic look with standard flat-top receivers.